OMG! Did I waste a credit on this tripe? New and vibrant information, a narrator that doesn't pronounce the word "eSpecially" as eXpecially. What could Robert Paine have done to make this a more enjoyable book for you? 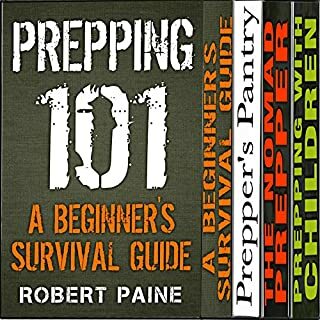 Listen to a free Prepper Podcast instead of wasting any credits or money on this tripe.